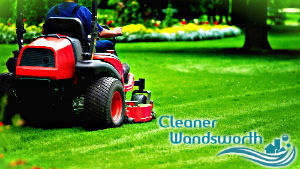 Grass cutting is an important procedure that ensures your lawn is well-maintained and healthy. However, the improper cutting technique is often a reason for yellow or brown patches. Overgrown grass is also not pleasing to the eye and ruins all your efforts to make the house exterior look nice. Contrary to a popular belief, cutting the grass is not the easiest gardening project. In point of fact, poorly performed mowing is the reason why the grass becomes brown or the weeds grow faster than the grass itself. Our professionals will make an evaluation of the condition of the lawn and you will be given a piece of advise on how to limit the weed growth, how to avoid bald patches or how to retain the lawn moisture. If you consider the gardening and lawn maintenance too overwhelming, you can just entrust us with the regular gardening maintenance. A team of experts will visit your property in Wandsworth and grass cutting, tree pruning, fertilising, mulching and many more will be performed on your behalf. In order to get all these benefits, you just need to get in touch with us. Our operators will give you additional information about any of the services you are interested in. we guarantee that the price estimate you will be provided with will be the best you can find in London.